Which type of oscillator do you intend to use? You can now order a complete unit with an FE-5650A oscillator ready to use (just add output connectors and, if you like, a case). 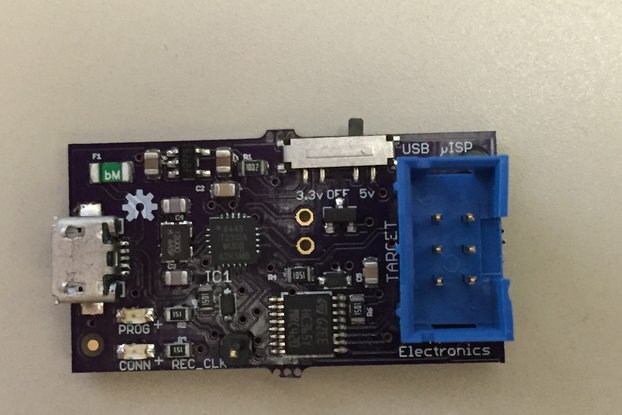 What do you get when you mash-up the FE-5680A breakout board and the GPS Disciplined xCXO? 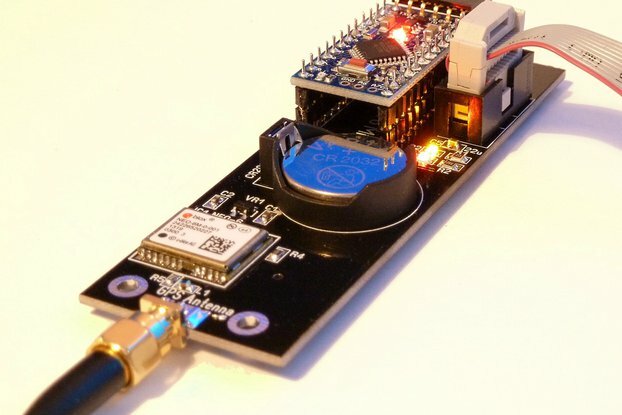 You get a GPS Disciplined Rubidium frequency standard! The FE-5680A and FE-5650A are rubidium oscillators that are widely available used on eBay. They have excellent medium and long term frequency stability, but by themselves they are not necessarily accurate (stability means that it maintains a single frequency without drifting, accuracy means that the frequency has a particular known value). 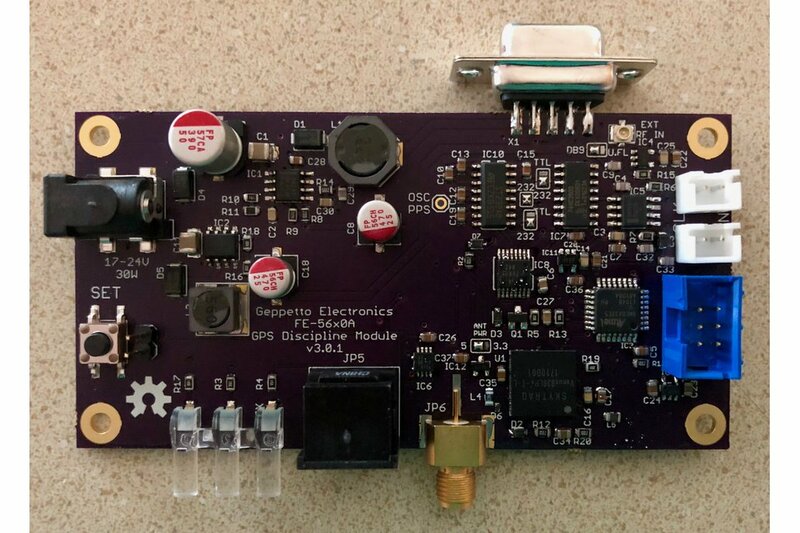 This board includes a power supply for the oscillator and a phase monitoring and correction system that will trim the oscillator's output frequency against GPS. The board plugs directly into the oscillator's DB9 jack (for the 5650A or 405B a u.FL to SMA male pigtail is required). 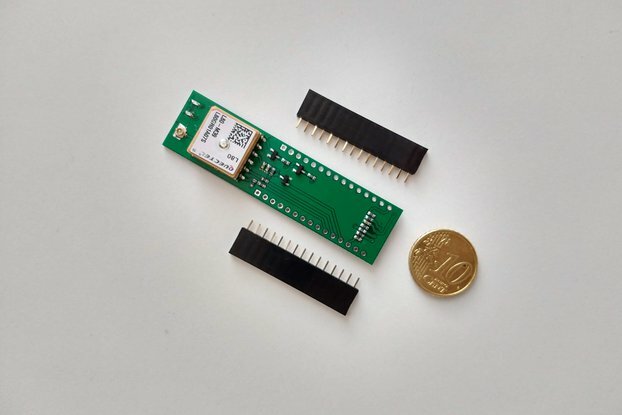 It has an SMA jack for an external GPS antenna (up to 100 mA of 5v or 3.3v power is supplied for active antennas), a mini-DIN-6 diagnostic connector (supplies the GPS PPS signal, a TTL serial diagnostic output stream, TTL serial I/O from the GPS module and 5v power), a power input jack, and two JST .1" two-pin jacks with the 10 MHz output. Each output is is separately buffered. One output is a 5V CMOS square wave, and the other is a 10 dBm sine wave. Both outputs are 50Ω. The board has a button on it which will write the current EFC value to the oscillator's power-up default value. 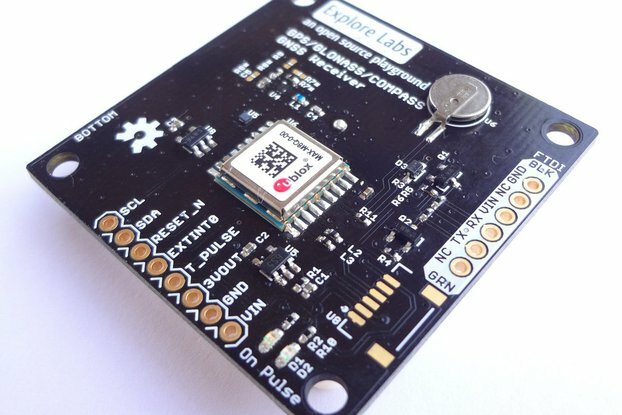 This allows you to use the board as a calibrator and then disconnect the board and power the oscillator some other way confident that the result will be calibrated against GPS. 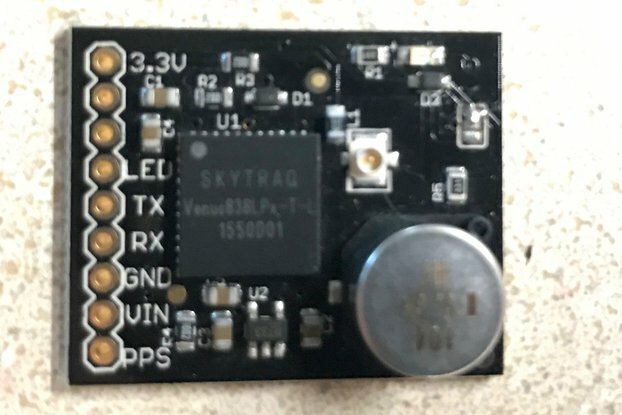 The board requires (but does NOT include) a >30W 18-24 VDC power supply with a 2.1mm center-positive barrel connector (easily obtainable from a surplus laptop power supply) and an external GPS antenna (The jack is SMA and 5v or 3.3v power for active antennas is supplied). 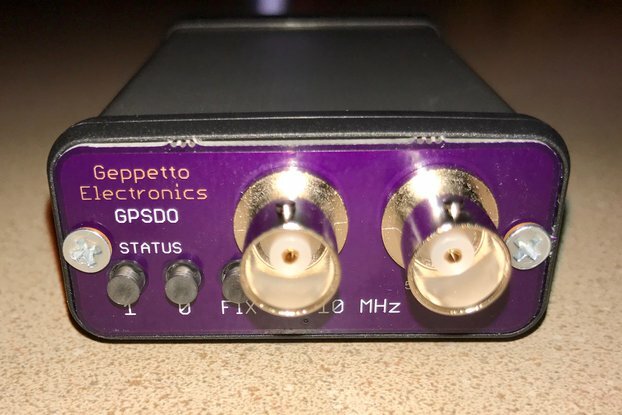 For the FE-5650A, pin 7 is not connected and instead the 10 MHz comes out of an SMA jack. 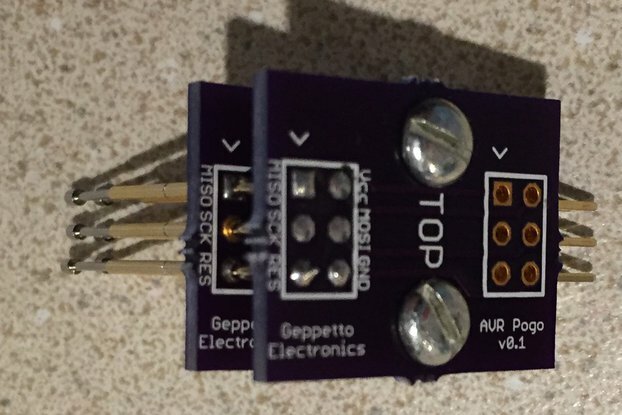 Pins 8 and 9 are TTL level serial instead of RS-232. For the firmware to function correctly, you must obtain your FE-5650A from RDR Electronics or include one with your board purchase. RDR sells 5650As that have been refurbished and supplied with modified firmware that makes them compatible with the 5680As tuning commands. You must also obtain a U.FL to SMA male pigtail. For the FE-405B, pins 7, 8 and 9 are the same as the 5650A (and a pigtail is required), and in addition pin 3 is not connected. 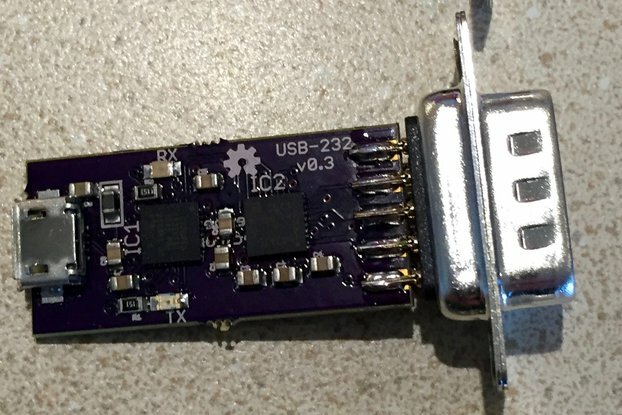 If you change your mind after purchasing, there are solder jumpers on the board to switch the input selection between the U.FL jack and pin 7 of the DB9 connector, and to switch between TTL level serial I/O and RS-232. The firmware to discipline the FE-405B NCOCXO instead of the FE-56x0A is also different (and, of course, the output is 15 MHz instead of 10 MHz). The firmware for the 5680A and the (RDR modified) 5650A is the same. You also must make sure your FE-5680A uses the newer binary command format for trimming the frequency rather than the older ASCII based protocol for setting the frequency. Generally this means you want one advertised as having a 10 MHz (only) output rather than having a tunable output or a PPS only output. In general, this board exerts a fairly "light touch" on the oscillator itself. The oscillator's stability starts at around 2E-11 at 𝜏 1s, and then proceeds downwards from there. The OH300 OCXO is better at 𝜏 lower than around 10 seconds, and then the FE-5680A pulls ahead (the 5680 and 5650 are more or less identical in performance). Because the low-𝜏 stability is comparatively poor, the OH300 is recommended for situations where low phase noise is critical. Over extremely long 𝜏, the stability of both is dominated by GPS. 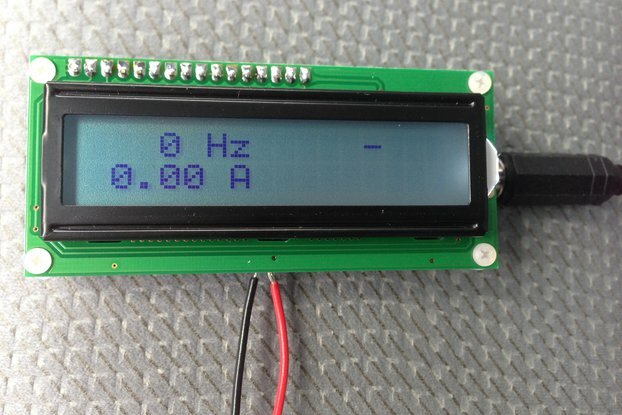 For frequency counter or other lab reference uses, the FE-5680A is superior. For situations where the frequency is being used as the reference for a frequency multiplier PLL, the OH300's lower phase noise and short-term stability makes it a better choice. The firmware is mostly the same as the OH300, but there are three PLL modes with different time constants (100 sec, 1/2 hour and 2 hours). 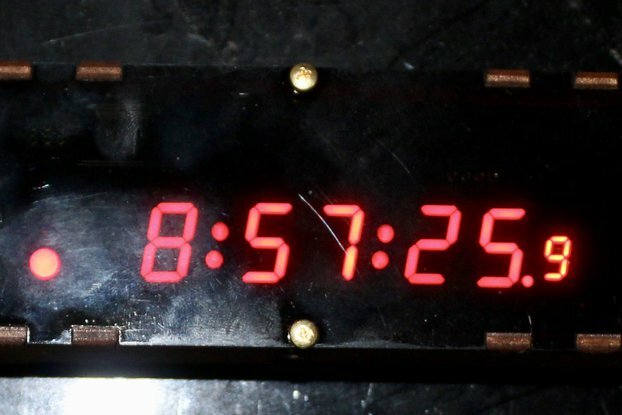 Once the 2 hour time constant is in effect, a properly functioning oscillator will need almost no correction and the GPS discipline system will merely monitor the frequency. Of course, if you have a FE-5680A already, then this board by itself is cheaper than a complete GPSDO. If you select the option to include an oscillator, then an FE-5650A reconditioned by RDR Electronics will be included with the board and a U.FL to SMA male pigtail. Simply connect the pigtail, plug in the DB9 connector, add JST XH output connectors and apply power. When ordering, select the 5650A oscillator type, select the correct "YES" option for including the oscillator depending on where you are located (shipping is higher for international orders), and select the "NO" option for the pigtail (it will be included anyway at no additional cost). 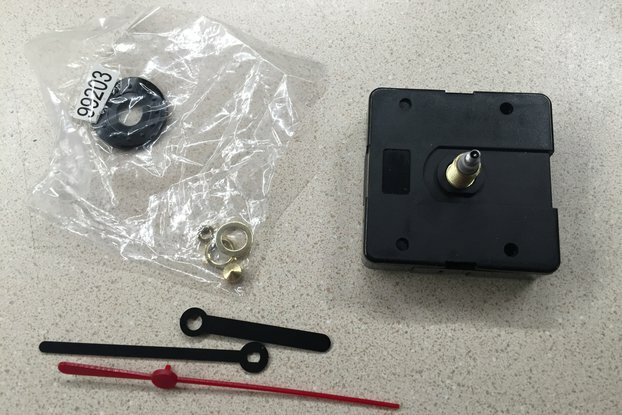 Your board will be jumpered for the 5650A and when it arrives the unit will be ready to use (after connecting it up). In just a few minutes after taking the module out of the box, I had a laptop power supply and a surplus FE-5680A hooked up. The GPS locked suprisingly quickly, and got the Rb calibrated in no time flat. Fantastic product!